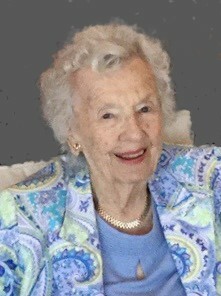 Eileen Smith Haerther, 96, of Geneva, IL, Amelia Island and Jacksonville, FL, slipped away peacefully January 26, 2019. Loving wife of the late William W. Haerther, Jr., she was the first female pharmacy graduate at the University of Minnesota. A native of Rochester, MN, she grew up surrounded by the medical community associated with the Mayo Clinic, where her mother was a surgical nurse. She and her husband were avid travelers and photographers and chronicled their many journeys, with Africa holding a special place. Eileen and her husband, owner of Ideal Carbide Die, Co., raised a son and two daughters in Geneva, IL, where they were both active socially and in the community. Eileen is survived by her children, Thomas Haerther, Judith Kelley, Emily Ulrich; her grandchildren, Tracy Haerther, Allison Becker, Andrew Kelley, Timothy Kelley and Anastasia Ulrich; and 4 great grandchildren. Funeral mass will be private. In lieu of flowers, her family asks that donations be made to the Jacksonville Symphony or Community Hospice of Northeast Florida.